Get ready for a magnificent double feature, Maharanis! 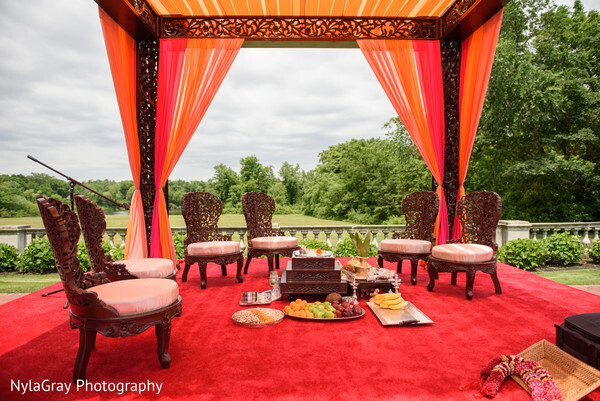 The amazing event architects at Erganic Design planned such an incredible Indian fusion wedding that we couldn't contain all the magic in just the Platinum Vendor blog! 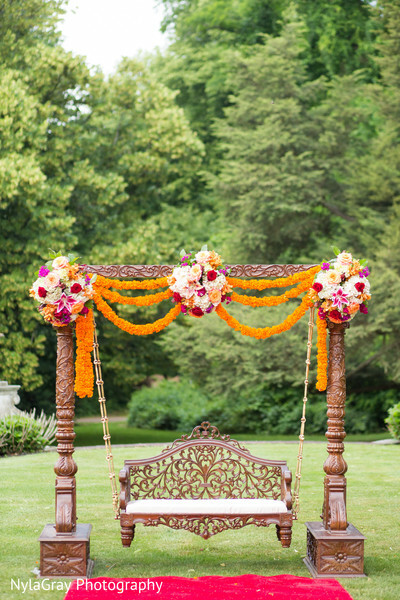 Make sure to check out the fantastic video on the Films blog to see all the shaadi wonder! 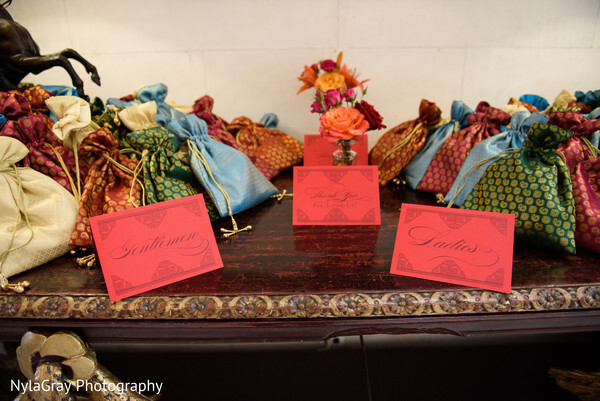 Then, read on for details on the stunning ceremony decor by Elegant Affairs Inc. and the gorgeous stationery by Erganic Design! 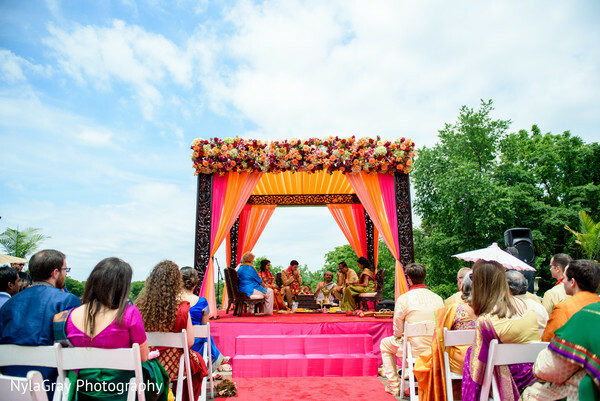 The Hindu ceremony was held outdoors at the de Seversky Mansion, and Elegant Affairs Inc. used hot pink, orange and coral colors to make the mandap vibrant! 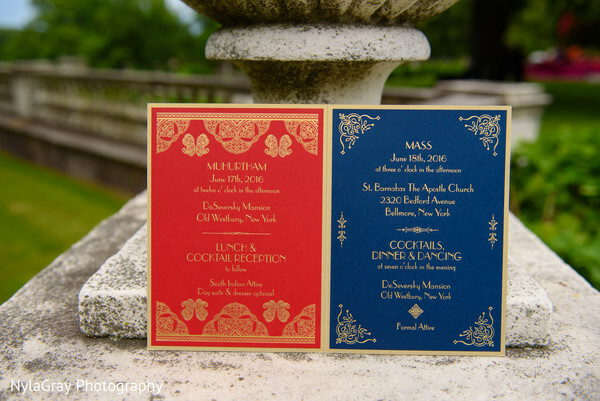 Meanwhile, Erganic Design added elegance to the event with exquisite wedding programs! 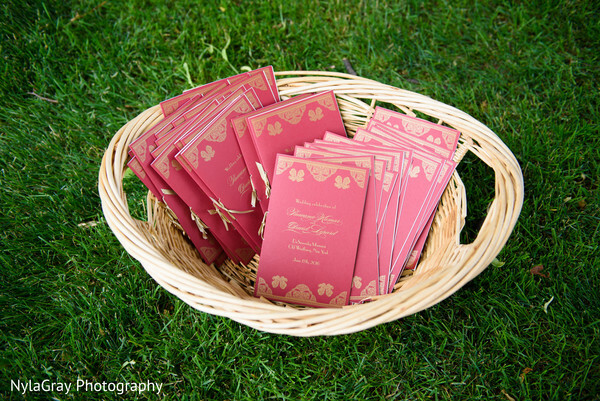 They also created the breathtaking invitations and signs for the favor table! Get a close-up on all the details by checking out all of NylaGray Photography's photos in the full gallery! "We were friends for several years in law school; after being friends for a few years, we reconnected through friends and have been together ever since!" "David proposed by sending me on a secret scavenger hunt around New York City filled with my favorite things. First, brunch at my favorite restaurant where I was given a book about Prague (a destination we'd been wanting to go to) and a cryptogram in the book. That sent me to another bookstore... with another puzzle... which sent me to a manicure place (to get my nails done) and finally to a pier down by the West Village where David was waiting to propose." 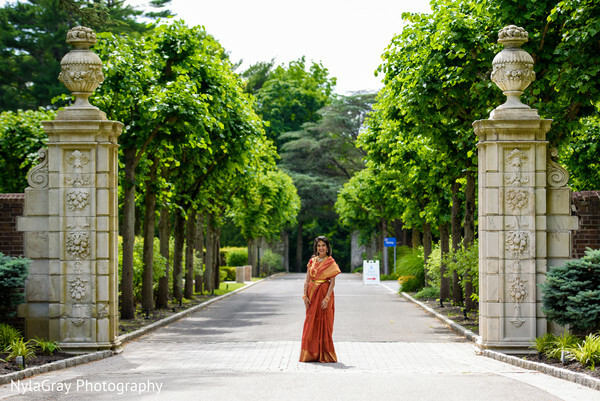 Check out the baraat and Maharani Paavana's gorgeous look by GlowZee when we return! 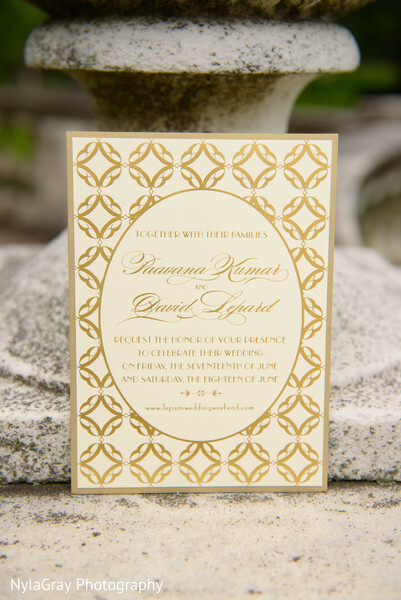 Elegant Affairs Inc. and Erganic Design are members of the Platinum Guide. Love what you see? Explore their portfolios.